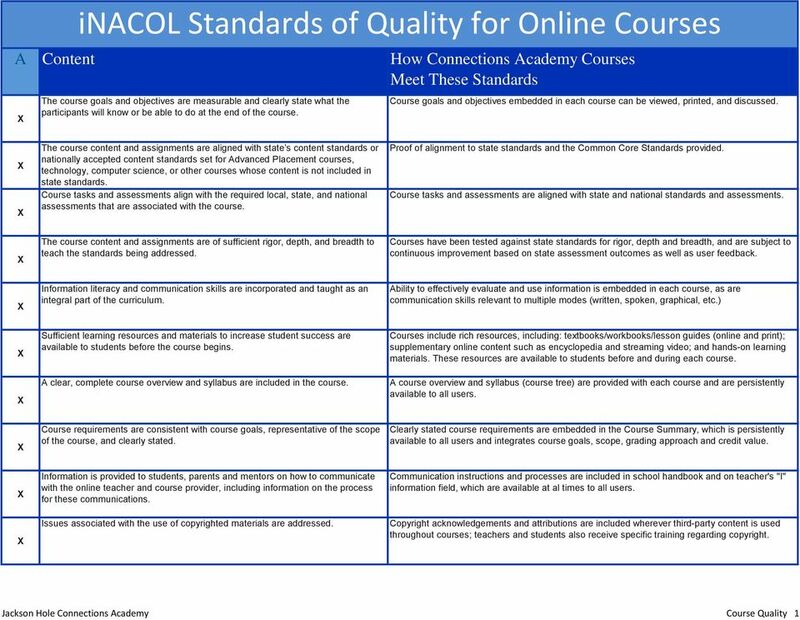 Download "inacol Standards of Quality for Online Courses"
QUALITY ASSURANCE ONLINE LEARNING COURSES. Revised April 2012 - development form. Instructor Review: Delgado Community College Standards for Online Courses. 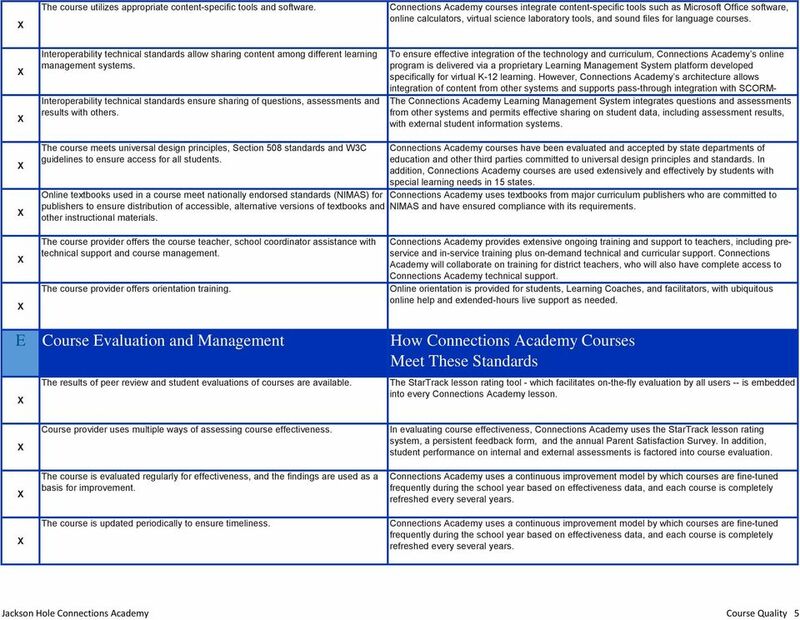 The points are to help you understand how your course will be evaluated.
! 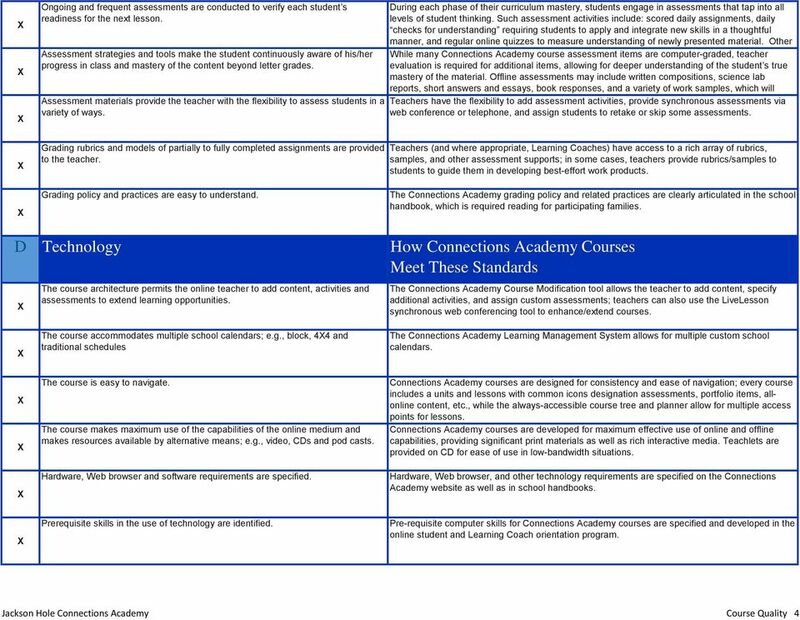 Standards For Online Courses! 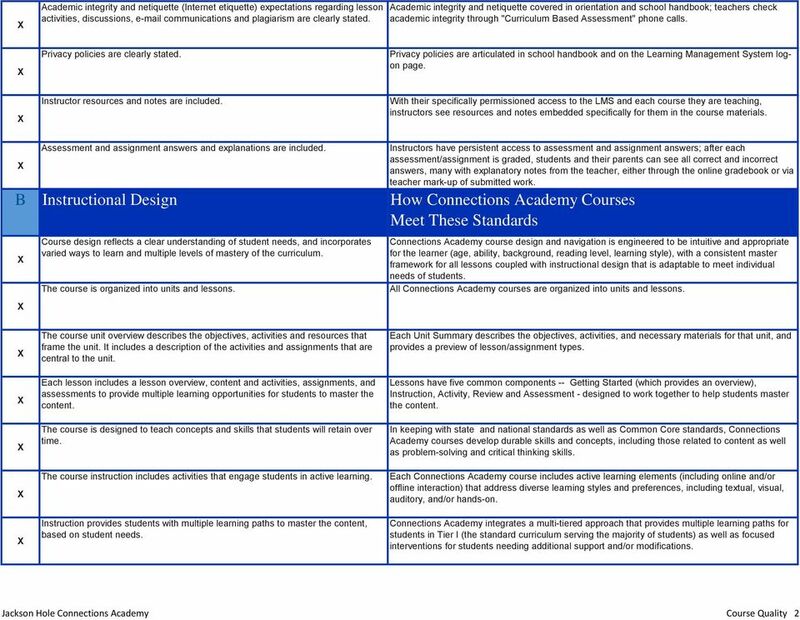 OTL532K Principles of 21st Century Learning and Design Credit Hours: 3 Contact Hours: This is a 3-credit course, offered in accelerated format. This means that 16 weeks of material is covered in 8 weeks. Effective Practices for Fully Online and Blended Courses Initial Course Development Below are some tips and strategies for initial development and conceptualization of your course: Blueprint your course. 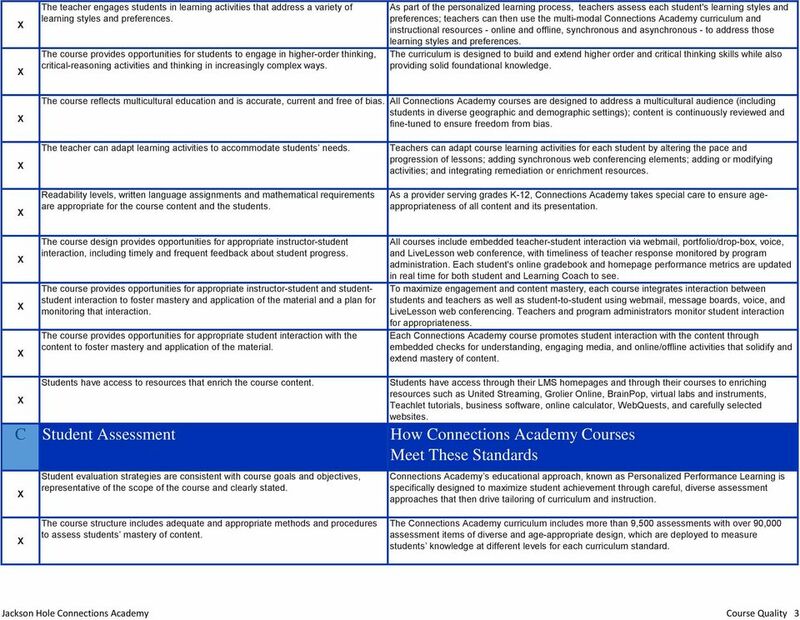 As a self-evaluation tool, simply apply the quality standards in the rubric to your own course.